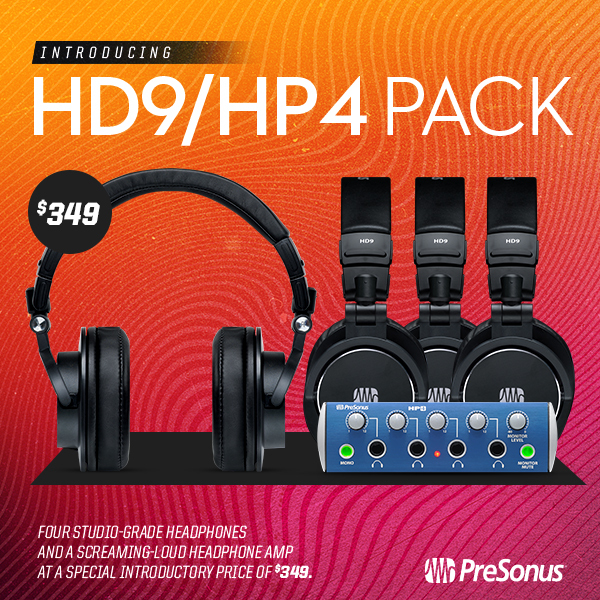 Comments Off on Introducing the HD9 PRO PACK with a Special Introductory Price! 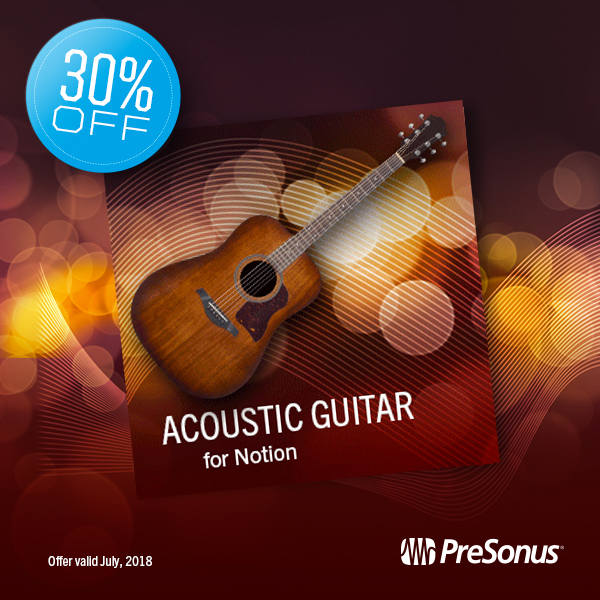 From March 1 to March 31 you can get VocALign Project for 30% off the regular price—that’s down to $104 USD from $149. Quietly legendary, VocALign’s early life included use in music production ranging from Shania Twain and Steely Dan to Black Eyed Peas; as well as in popular TV shows such as Friends and Seinfeld and in blockbuster films including Harry Potter and Lord of the Rings. ARA (Audio Random Access) is a pioneering extension for audio plug-in interfaces. 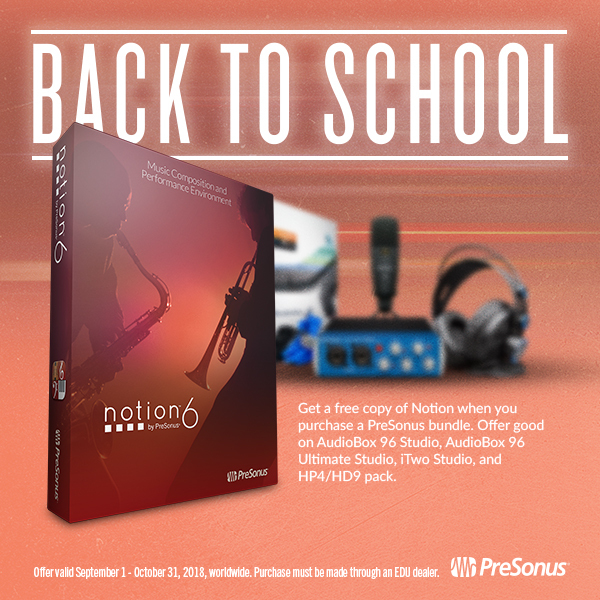 Co-developed by Celemony and PreSonus, ARA technology enhances the communication between plug-in and DAW, and gives the plug-in and host instant access to the audio data. 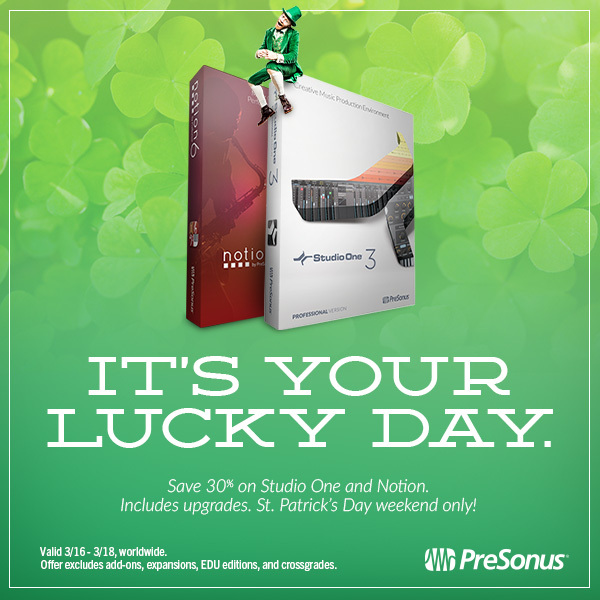 Synchro Arts and PreSonus have worked together to integrate VocALign tightly into Studio One with a simple, streamlined workflow to provide automatic, instantaneous time alignment of the selected audio signals. 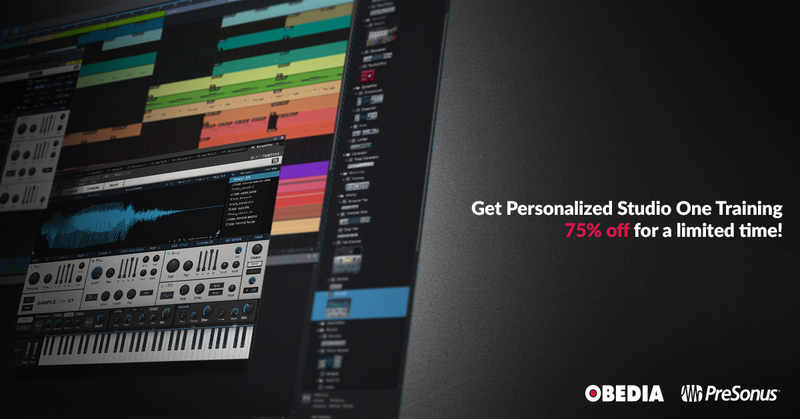 Editors can save hours in the studio and let VocALign do the fine re-timing work automatically. Users simply select Guide and Dub audio events and drag and drop them into VocALign which instantly edits the Dub audio to match the timing of the Guide. Limited Time Offer–Buy a Pair of Sceptres, Get a FREE Monitor Station V2! 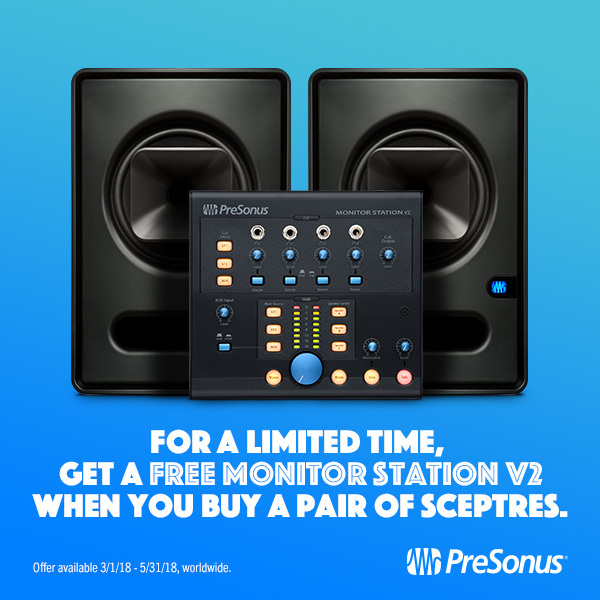 Now through the month of May 2018, score a FREE Monitor Station V2 when you purchase a pair of Sceptre monitors, either the S6s or S8s! 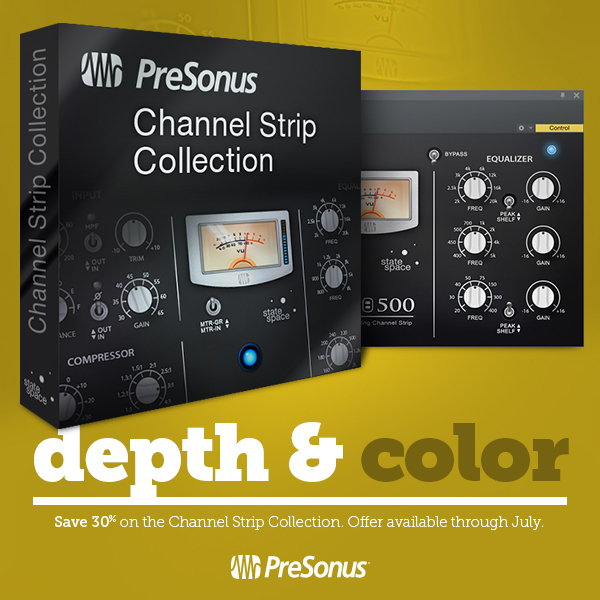 The design of the PreSonus Monitor Station V2 is quite well-done — and we love the new color-scheme, which gives the device a much more professional and sleek look. 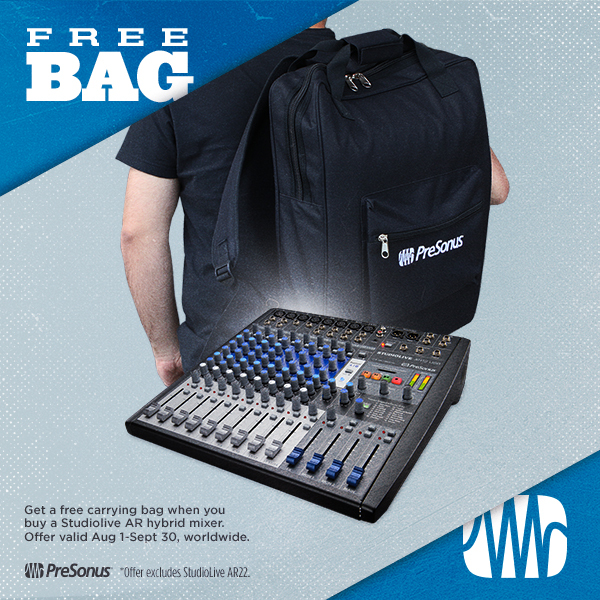 The PreSonus Monitor Station V2 may largely be targeted at home use, but you could easily make a solid case for it being used in a pro studio too. It’s well-designed, well-built, and extremely easy to use. AND you get it FREE when you purchase a pair of Sceptres! 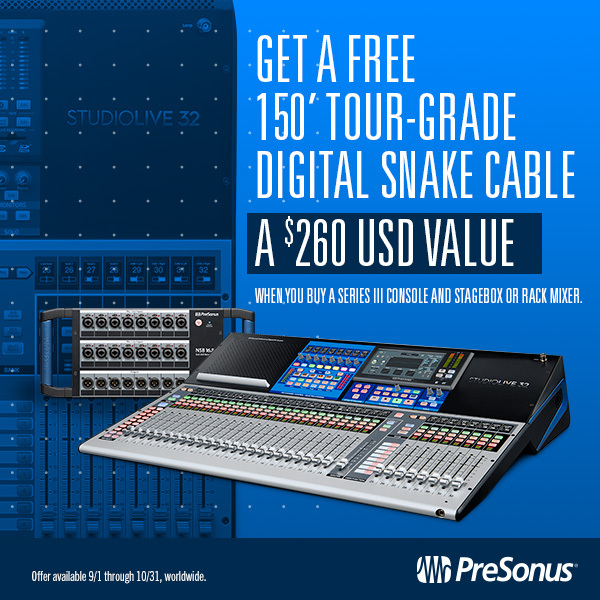 It looks like Presonus have done it again; I was really impressed with their budget Eris speakers and now the Sceptres firmly establish the company’s position in the mid-priced monitor marketplace. To find a dealer in the USA, click here! To find a dealer outside of the USA, click here! Comments Off on Limited Time Offer–Buy a Pair of Sceptres, Get a FREE Monitor Station V2!